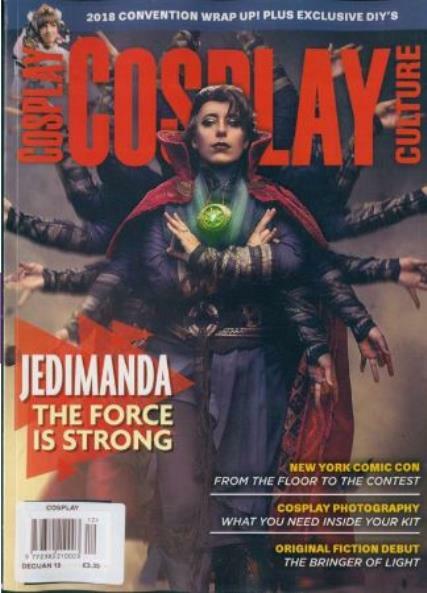 Cosplay Culture magazine have put together a bold, oversized, full-color, photo-packed magazine. Buy a single copy or subscription to Cosplay Culture magazine. The Cosplay Culture magazine is a bold, oversized, full-color, photo-packed magazine that puts the power in the hands of cosplayers, who took the time to share their own secret recipes for bringing anime, manga, and other related characters to life! You'll get to know the subjects of Cosplay Culture magazine over the course of more than 70 blazing-hot pages featuring the history of cosplay, tips on convention etiquette, a look at what it's like to be a cosplay idol, and more.